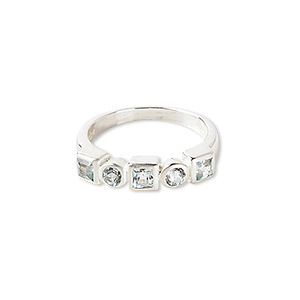 Ring, sky blue topaz (irradiated) and sterling silver, 4.75mm wide, size 7. Sold individually. 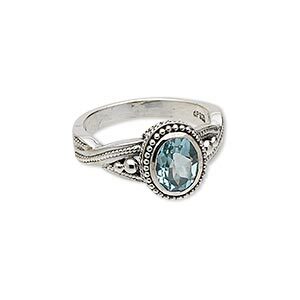 Ring, sky blue topaz (irradiated) and antiqued sterling silver, 9x7mm faceted oval, size 8. Sold individually. 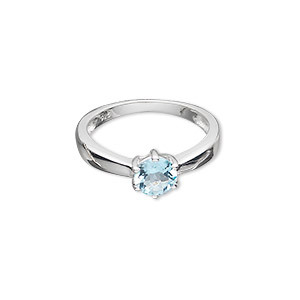 Ring, sterling silver with sky blue topaz (irradiated), 7mm faceted round, size 7. Sold individually. 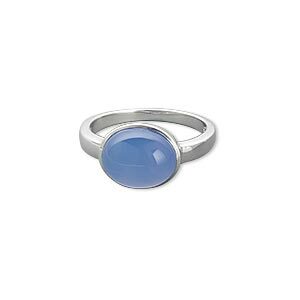 Ring, sterling silver and blue chalcedony (dyed), 11x9mm oval cabochon, size 7. Sold individually. Ring, sterling silver and lapis lazuli (natural), 9mm round, size 7. Sold individually. 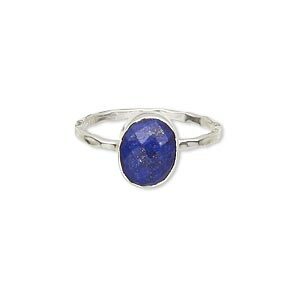 Ring, sterling silver and lapis lazuli (natural), 10x8mm faceted oval, size 9. Sold individually. 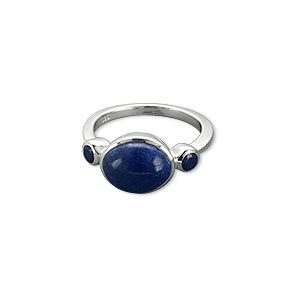 Ring, sterling silver and lapis (natural), 10x8mm oval cabochon, 3.5mm faceted round, size 7. Sold individually. 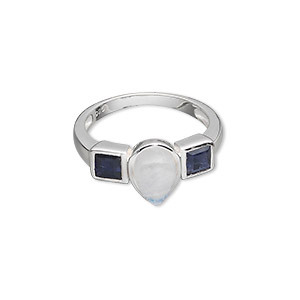 Ring, sterling silver with rainbow moonstone and iolite (natural), 9x6mm teardrop cabochon and (2) 4x4mm faceted squares, size 7. Sold individually. 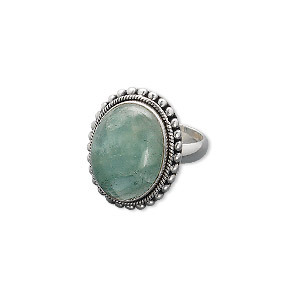 Ring, aquamarine (heated) and antiqued sterling silver, 20x15mm oval, size 8. Sold individually. 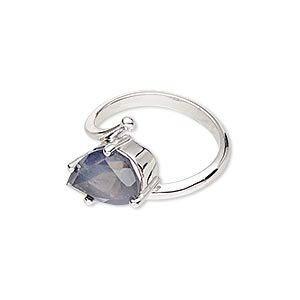 Ring, iolite (natural) and sterling silver, 14x9mm faceted pear, size 8. Sold individually. 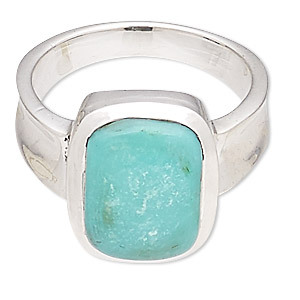 Ring, turquoise (stabilized) and sterling silver, 14x10mm rectangle, size 7-8. Sold individually.